Roses are probably the epitome of femininity. It’s why roses are sold out on Valentine’s Day and the reason why roses are often used in scenting feminine skincare products. So naturally, I’m using them in these lovely rose cardamom bath bombs! Bath bombs are all the rage and they can turn a bath into a self-care luxury. Making your own bath bombs isn’t hard to do either! 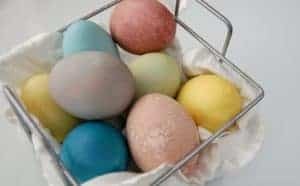 DIY is almost always the most affordable way to go with anything and bath bombs are no exception. Yes, you’ll have the initial cost of buying the ingredients but when all is said and done, you’ll be making bath bombs for pennies. Not to mention you can use the ingredients for a lot of other skincare products like my rose cardamom bath salts. 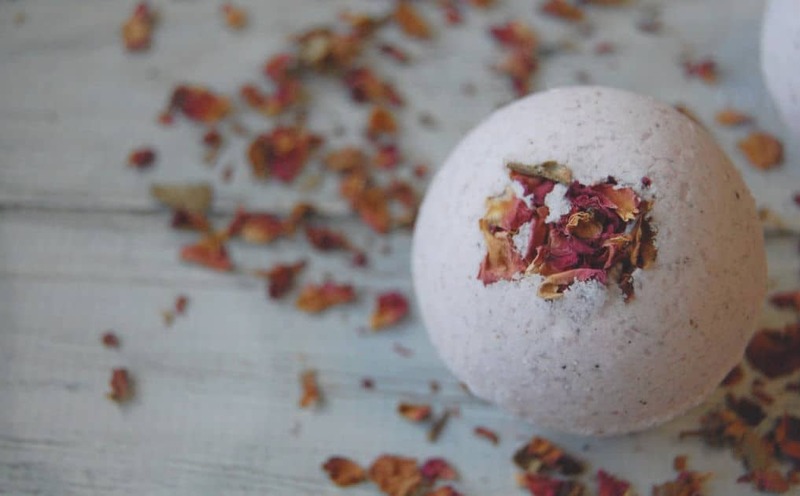 You can keep these lovely rose cardamom bath bombs all to yourself but they also make amazing DIY gifts that are perfect for Valentine’s Day, Mother’s Day, or any day really! 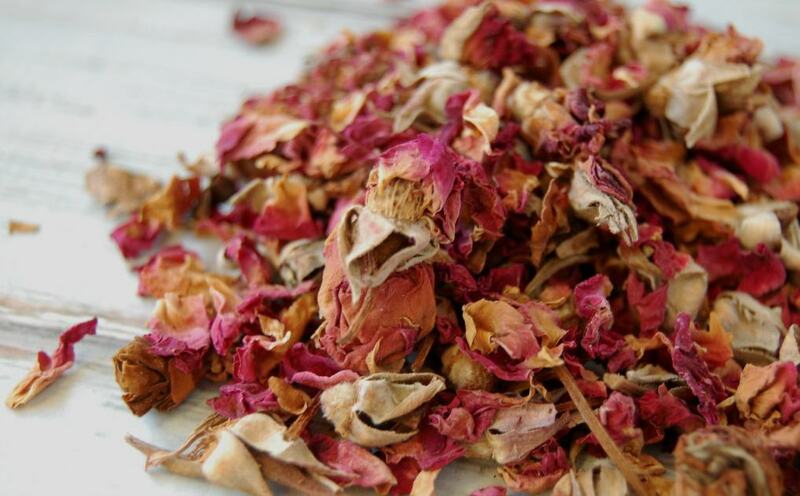 Want to save money on dried rose petals (or can’t find any to buy)? You can dry fresh rose petals (for a bouquet or a garden)! Free rose petals for all sorts of skincare products! Roses are probably the epitome of femininity and pampering but they are more than just pretty. Roses are anti-inflammatory which means they can help soothe skin. Roses are also a great moisturizer. Therapeutically, roses will help you relax and uplight your mood; just what you are looking for when taking a soak in the tub. Cardamom is a wonderfully aromatic spice that has skin benefits as well. 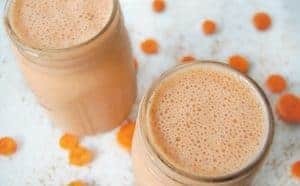 Cardamom is anti-aging and great for fighting acne. It’s also a natural skin toner. Well known for their muscle relaxing properties, epsom salts are key to a good relaxing bath. Epsom salts will ease stress and help you relax. 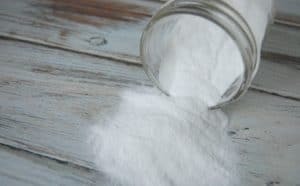 Epsom salts also help your body detox by flushing out toxins from your body. Coconut oil is used to help hold the bath bombs together as well as add a bonus moisturizing ingredient. It’s perfect for helping hydrate your skin. I actually though citric acid served no purpose other than to create that fun fizzing that bath bombs are known for however, it turns out that citric acid can help removed dead skin cells. It’s also been said to help acne but odds are it won’t help you much in that area since it’s being used in a bath. To help naturally dye these bath bombs a light shade of pink, beet root powder is used! No fake dyes needed! 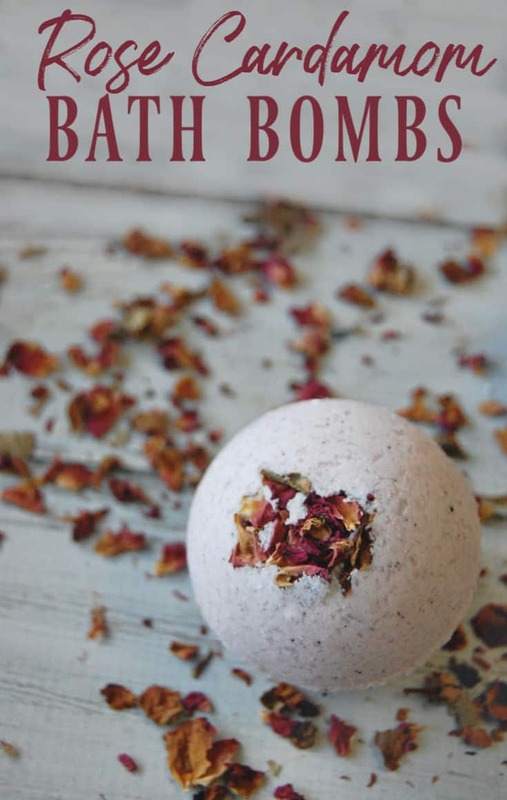 Instead of opting for plain water to help the bath bombs stick together, rose water is used because it gives the bath bombs a subtle rose scent. Note: if you’d like a stronger rose scent, add a few drops of rose otto to the mix. Whisk all dry ingredients (except rose petals) in a medium sized mixing bowl. Add melted coconut oil and rose water to the dry ingredients and mix well. Fill the rest of the bath bomb mold with the bath bomb mixture and do the same for the other half of the mold. Press the two halves firmly together and whipping excess mixture back into your mixing bowl. Place on a baking sheet or place and allow to set (in the mold). I recommend allowing them to set for 5-10 minutes before carefully removing the mold. After removing the mold, allow the bath bombs to dry for 24 hours. Keep in a sealed container until ready to use. Want more pink floral skincare products?